Bill DeVette was a man of his generation. He lived through the Great Depression, and with pride served his country with honor. He knew the value of hard work, and a time when a handshake sealed a man's word. As a dedicated and devoted husband and father, Bill provided a good life for the family entrusted to his care and will be deeply missed. Marked by a time of prosperity, the year 1927 was filled with the excitement of the Roaring Twenties. News of the day was the hero’s welcome given to Charles Lindbergh following his historic, transatlantic solo flight, and the completion of Mount Rushmore and the Holland Tunnel connecting New York and New Jersey was talk of the town. 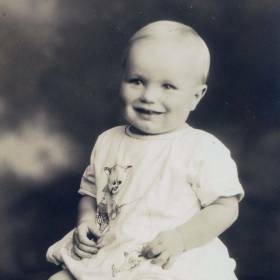 For William and Kelly (DeHoog) DeVette, nothing could have been more exciting in their lives that year than the August 12, 1927 birth of their little boy, William J. DeVette. Born and raised in the northwestern Pennsylvania city of Erie, William's father worked as a civil engineer and land surveyor while his mother worked as a nurse. 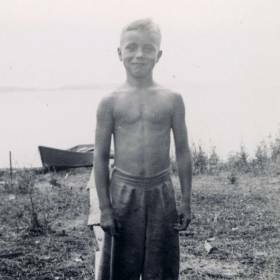 Although the hardships during the Great Depression created struggles for all, William led a typical childhood filled with boyhood adventures. He was a mischievous little fellow, and attended the local schools. During his youth, William was quite industrious. He had a rather large paper route, and thoroughly enjoyed chemistry. With his lifelong interest in astronomy, William liked all things involving science, as did his entire family. They were good friends of the Italian Jenco family, and William always loved being invited over for their delicious spaghetti dinners. His grandfather was a candy maker by trade, which found William becoming quite fond of chocolate. Despite the tumultuous days of the Great Depression, Bill's high school maintained one of the few swimming pools during these times. An avid swimmer, Bill played water-polo throughout his time at Academy High School before graduating in 1945. He also worked as a part-time lifeguard on Lake Erie to earn money. 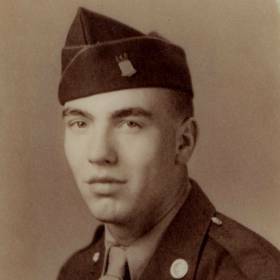 Immediately after high school, Bill enlisted in the U.S. Army Air Corps where he served with the Airways and Air Communications Group, Northern Pacific Theater of Operation's, as a radio-operator on a B-17 Liberator stationed in Juno, Alaska. Although quite impressed with Alaska, Bill went on to further his education after his honorable discharge from the service. He attended Michigan State University under a general study program. He remained in Michigan after college to begin his career as a registered land surveyor, like his father before him. He went into private practice, working as "DeVette Land Surveying" for nearly the next 40 years.  Bill's life was forever changed when he met the former Doris L. Bohach while on a blind date. She was a nursing student attending Muskegon's Hackley School of Nursing, and it was love at first sight for both of them. He wined and dined Doris, and deeply in love, they were married on June 15, 1956. Following a memorable honeymoon at Niagara Falls, they made their home together in Muskegon before beginning a family of their own. They were blessed with the birth of their son, Glenn in 1957, and son, Wayne completed their family in 1962. Eventually they moved to a home on Wellwood Street in the suburb of Norton Shores where many memories were happily made. Throughout the years they enjoyed several dogs and cats, but their Beagle, Juno was especially adored. Bill enjoyed and appreciated the outdoors, and in the 1970s he served as an assistant Scout Master for Troop 252. As a family they enjoyed camping, and visited every state east of the Mississippi where they took in historical landmarks and frequented planetariums along the way. In 1968, Bill drove his family to Florida to witness the launching of Apollo 8, and in 1991 he and Doris traveled to Baja, Mexico to see the total eclipse of the sun. Both of these events were quite a highlight for Bill. With ways all his own, Bill had an authoritative nature. He could also be very opinionated, but he loved his family deeply, and only wanted the best for them. As an accomplished, amateur astrophotographer, Bill was an active member of the Muskegon Astronomical Society for over 20 years. When he retired from full-time work in the late 1980s and early 1990s, it gave him more time to pursue his astronomical passions. 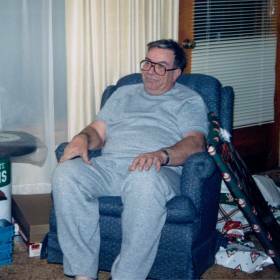 Over the years he and Doris enjoyed attending MSU football games with several of their couple friends, and he also was a fan of Red Wings hockey. Throughout his life, Bill enjoyed his many passions. He had a keen interest found in the skies, and lived by example as a hard working man, which taught his children well. He could be a little feisty at times, but his love of family was always at the heart of everything he did. Gone but never to be forgotten, Bill will be missed and fondly remembered by all who knew and loved him. 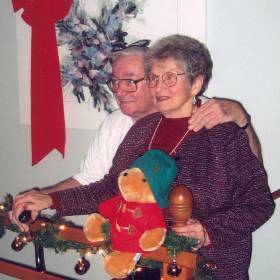 Mr. William "Bill" DeVette, husband of Doris, died early Thursday, February 5, 2015 at his home in Norton Shores. SURVIVORS: Bill is survived by his wife, Doris L. (Bohach) DeVette; two sons, Glenn W. DeVette and Wayne A. DeVette; and his faithful cat. He was preceded in death by his two sisters, Antoinette (Bill) Richardson and Wilma (Bill) Bond. SERVICE: Tuesday, February 10, 2015, 11:00 AM with visitation one hour prior to the service at the Clock Chapel-Muskegon with Rev. Carlos Ramos officiating with Military honors under the auspices of the Muskegon County Council. MEMORIAL: In lieu of flowers, the family requests donations be made to the Muskegon Astronomical Society, http://www.stargazing.net/mas/. 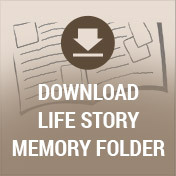 To share a favorite memory or photo of Bill and to sign his online guest book, please visit www.clockfuneralhome.com.